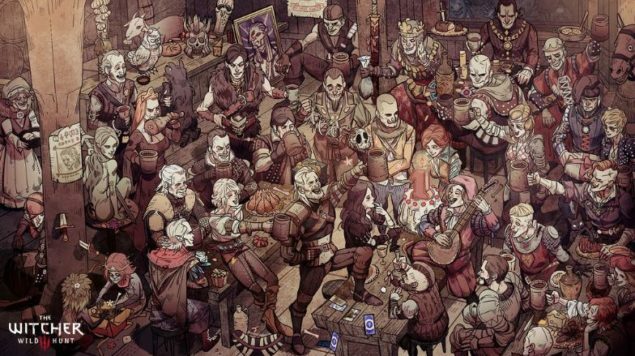 [Update] Just as hinted earlier today, CD Projekt Red shared a birthday card to celebrate The Witcher 3’s first anniversary. The card features Geralt alongside many of the characters that have appeared in all three games of the series. [Original Story] The Witcher 3 Blood and White is definitely one of the more anticipated releases of this month. The team has apparently gone beyond what fans of their popular role playing game were expecting, so all the excitement surrounding the release of the new expansion is definitely justified. Yesterday, a few seconds of a new music track that will be included in Blood and Wine have been made available through a recording session video, and today another short preview has also been made available. The new The Witcher 3 Blood and Wine music preview has been shared on Twitter by Marcin Przybylowicz, who has worked on the main game’s soundtrack. The sound quality of this preview isn’t exactly stellar, but this doesn’t make the track sound any less epic. On a related note, The Witcher 3 is celebrating today its first anniversary. 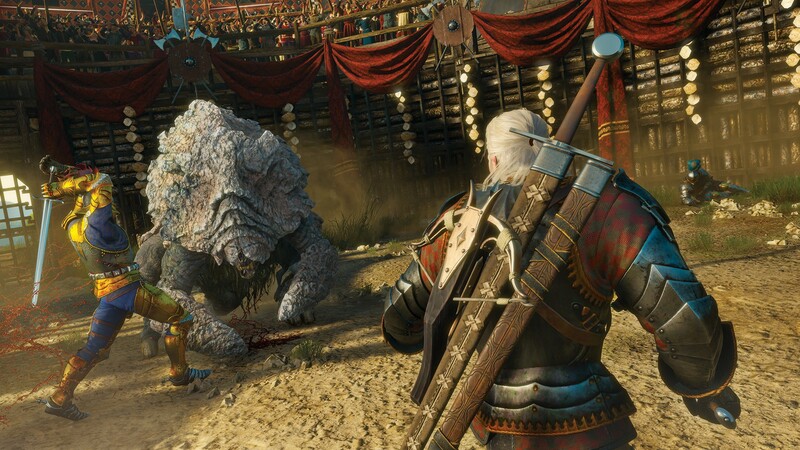 Earlier today, a polish fan asked CDPR Community Manager Marcin Momot about anything coming to celebrate the occasion, and the community manager hinted that something might be coming before the end of the day. Last week, several YouTubers have been invited to Italy to try out The Witcher 3 Blood and Wine expansion. The embargo in the event should end sometime today, according to reports, but a picture showing the new Main Menu still managed to surface online recently. The Witcher 3 is now available in all regions on PC, PlayStation 4 and Xbox One. The Blood and Wine expansion will be released on May 31st in all regions and on all formats. We will let you know more about the expansion as soon as more comes in on it, so stay tuned for all the latest news.